I am in the process of shopping of maximizing the value of some of my second system and doing some strategic upgrades. my first TT was the Project Carbon Debut DC with an Ortofon 2M Red (MM). I upgraded that to the 2M Black (MM) and it turned it into a great rig (to a point). I am very aware. that the 2M Black exceeds the capabilities of the TT, so as I optimize this second system, I am looking for a good turntable that would provide a significant sonic improvement over the Project Debut Carbon, and would match well with the 2M Black. I would like to keep it below $1500 (ideally under $1000). I am leaving out the other details of my system to keep this focused on the TT and not have this turn into a poll of what part of my rig's chain I should optimize next... ;-). Just want some TT options under $1.5K that will help the 2M open up even more! I think you should match it with a tonearm, not a turntable. Effectime mass of the arm + cartridge compliance is the key. I had my 2M Black on a (now sold) Rega RP6 with shims and it rocked! I now have the 2M Black on a Technics 1210 GR, no shims required, and it also rocks. Both TTs will fall into your budget if used or discounted. I would stick with Pro Ject and just get a better table from them. Perspex would be my choice but it's a couple hundred over your budget. Assuming you want to buy new, the Pioneer PLX1000 is prob best bet at the lower end of your budget. 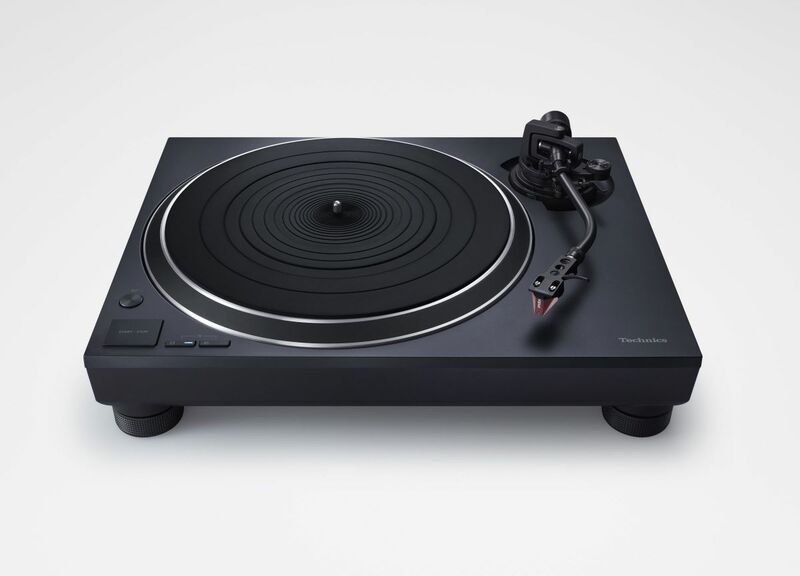 The new Technics SL1200Mk7 is worth considering or the 1210 and will likely see you through many upgrades. You could also look at the George Merrill PolyTable with a Jelco 750.
noromance- I dont care to buy new for this, in fact I would prefer to get a good deal on something used! There are a bunch of interesting tables on audiogon in your price range inc a Rega 6, an Oracle Delphi for $1500 and a LP12 with Ittok for $1000. $1399 Technics SL1500C with cartridge and phono stage. also available in black. Coreless Direct Drive motor. If you can buy a Direct Drive with coreless motor + cartridsge + phono stage (all in one) for $1399 then why do you need a Belt Drive turntable ? For a bit more you can find used Technics SL1200GR for $1500-1700 i believe. I would never buy a direct drive turntable. What about all these Thorens that flow through agon? The LP12 appeals to me in that I could keep tinkering and improving on it, but the flip side is... will I actually want to do that tinkering or save that energy for my main rig. The planer 6 is definitely on the shortlist too, but prefer not having to use shims if not necessary. @mountz I am not familiar with the Amadeus but lll research now. Thanks for the offer! Then you will never get a stable rotation with all those belts etc. Cheap belt drive turntables are awful. Coreless Direct Drive is the most stable motor in this world. This motor ain’t cheap and not easy to manufacture. Japanese can do it right. The only advantage of direct drive is high torque and more stable speed. The extra vibration and noise from a direct drive turntable is why I would not have one. My turntable has one belt. Don’t know where you’ve been the past 40 years or so but you may notice that the best turntables are not direct drive. The only DD ones I can think of are Japanese. Wait, VPI is coming out with some sort of 40th anniversary DD table (they must be cleaning out their warehouse of extra parts). The thing is are you in this for the long haul or are you just passing through the vinyl domain? Can you save for longer and spend more? I’ve been down the long road as many of us have here. Ultimately, you will spend and sell and spend and sell until you settle on what you should have got in the first place. If you are serious and have a record collection, my advice is to go for it and buy the absolute best you can afford even if it means waiting. I believe this is for a second system. Is that a second vinyl rig or is this your first? I would inquire on this listing, and negotiate a price with shipping included. With the cart, you will have a nice setup. 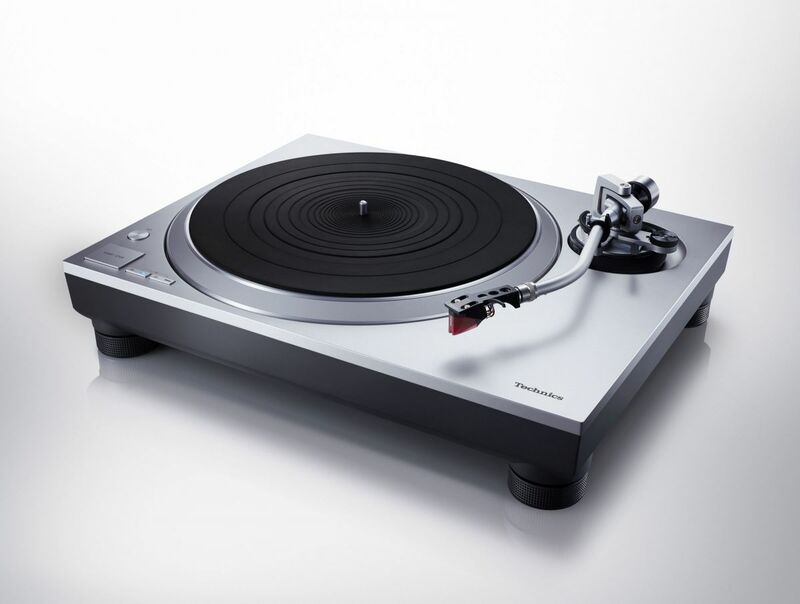 For entry level Technics makes some great solutions, VPI is relaunching their top flight DD table too. For an experiment you should get yourself a Timeline or perhaps a RoadRunner Tachometer just to see just how accurate your TT is spinning. I started with a Pro-Ject Debut Esprit & 2M Black, and it was a good setup. I now use the 2M Black with a Technics SL1210GR, and I'm in heaven. There had been 5 other turntables (VPI x 3, Music Hall x 2) in between, and they were all slight upgrades from the Pro-ject or just lateral moves. @noromance has great advice, and avoid what I did, and just get the best you can, and not necessarily a Technics either. Saves a lot of money/hassle/frustration. I got an well tempered amadaeus TT last year for a little more than your seeking. I found it fun and easy to use. It has a weight that looks like a golf ball but offers a great deal of control. Ping me if you are interested in learning more. I was going to list it in the near future and though it might fit within your parameters. Peter, I have a speed controller for my table so I don’t have to move the belt when I want to play a 45RPM record; the controller has a three digit digital readout showing the speed. I will claim it’s as accurate as your motor that runs on 60 cycles straight from the wall. Furthermore, I can use a paper stroboscope to confirm if the table is running correctly if for some reason I would want to do that. I do not believe that most turntables are direct drive; at their most popular, they probably only had half the market back in the 80’s. I would wager that at present, of ten turntable owners, maybe two of them will be DD. Edit: I went and checked the specs on my speed box; it is plus or minus .001% I don't know the stated accuracy of any DD tables but I would be surprised if they are any more accurate than that. The only advantage of direct drive is high torque and more stable speed. The extra vibration and noise from a direct drive turntable is why I would not have one. I have 6 direct drive turntables and can't detect any noise from any of them, they are all so heavy that i can not detect a vibration. My turntable has one belt. Don’t know where you’ve been the past 40 years or so but you may notice that the best turntables are not direct drive. I am not that old to be in this hobby for 40 years, but i live with Direct Drive turntables for more than 20 years and in the past 5 years upgrading them. Can't imagine i could operate a belt drive. The only DD ones I can think of are Japanese. Wait, VPI is coming out with some sort of 40th anniversary DD table (they must be cleaning out their warehouse of extra parts). ONLY Japanese, yes. One of the most affordable High-End DD is Technics SP-10 mkII, Denon DP-80, Victor TT-81, but my favorite is Luxman PD-444. They are all vintage. @noromance this is for a secondary system. I am not passing through a vinyl trend. I have a dedicated listening room with acoustic engineering built in with some great equipment. That’s a whole separate conversation. This is really just about maximizing value of my 2m black that is being shortchanged by the debut carbon it’s connected to in a sub $15k bedroom system. Interesting to see the debate on DD vs belt drive, personally I think brinkman makes the best TTs available and both their DD and belt models are impressive. I thing that is what happens with very good engineering... you can achieve great results with either with the proper engineering and implementation. 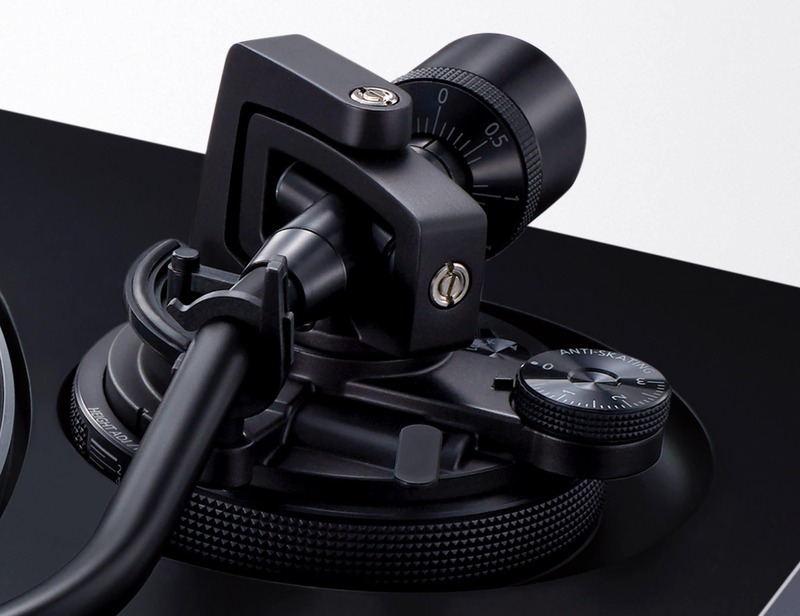 I think the question is the tonearm which is a separate unit, not necessary comes with a turntable of any kind. You can also try to load your Ortofon MM with 100k Ohm instead of 47k Ohm. @sircheech Understood. Respectfully, I think it would help to state that in your original post. I've heard a lot of systems at shows and while not always the best place to hear any rig at its best, very few have bested my own in the areas of performance at which it excels. With that in mind, perhaps you might give some thought to a rebuilt idler in an excellent plinth. Some of this is hard to believe. It always makes sense to get the best you can unless, you aren't sure you want to use vinyl at all. If you do get a used VPI a Scout or better, if you can find one with a really good cartridge already on it. That may be in your price range. 2nd the perspex, currently running one with Hana mc, sounds fantastic. Totally adjustable and able to take advantage of mant different carts. "I would never buy a direct drive turntable." Which one of the recent ones did disappoint you so much? Any particular model you experienced that solidified such a strict decision? @bsmg: "I would never buy a direct drive turntable." What types of motors do you think drive the cutting lathes? It sure as sugar ain't belts. Watch these two videos, this table is a Denon DP80 modified into a GrooveMaster Vintage Direct DP80 Professional. The Tachometer on the Turntable is a Roadrunner - double checked by a Time line - there is no belt drive that can do this - especially not a single belt one. Well, guys, I’m not cutting new vinyl on my turntable; comparing how records are made to the pros and cons of belt vs dd is a strawman argument. I understand that dd is higher torque and more stable speed but higher torque is not necessarily needed to spin a single record; a belt drive table will assume correct speed quicker than you can lift the tonearm and put the stylus on the record. Furthermore, if your platter has enough mass, its own inertia helps keep it running at the same speed. DJ’s use direct drive tables because they can physically turn the platter backward, which can’t be done successfully with belt drive. If you go to mfgr websites like VPI or Oracle or Pro Ject or Music Hall or ClearAudio, you will note the lack of dd tables. Even on the Japanese sites MOST of their tables are belt drive. This whole subject is similar to the perennial argument about whether tubes or solid state sound better; most ss amps have a distortion factor of something like .0001% whereas tube amps distortion figures are typically "less than 1%." A difference of several orders of magnitude. My speedbox accuracy of .001% is a similar order of magnitude difference (.001% of 33.3RPM is a very small fraction of a revolution per minute). I will stick with vacuum tubes and belt drive and there is nothing that will make me change. To address the question of what made me "switch" to belt drive, I've never had a dd table; never wanted one. Plus, when you flip the switch on your table and nothing happens, you are faced with a substantial repair cost; if that happens to me, it is likely I am looking at maybe $25 to be back in business. Also, back into the initial parts of this thread, someone suggest the OP get a different tonearm; the Debut table he has cannot accept a different arm; there is no provision for that on that model. DJ’s use direct drive tables because they can physically turn the platter backward, which can’t be done successfully with belt drive. None of the DJs turn the platter backwards, they turn the record on the slipmat (felt mat) any directiron if needed (it's called back cueing), but the platter under the slipmat always turning forward, not backward. And a high torque is needed to cartch the right speed immediately. Not all of the Direct Drive have such a high torque like Technics, for example my Luxman PD-444 has much lower torque. I will take your word for that. In my opinion this is a state of the art in terms of design, the only problem is the price which is higher than most expensive direct drive. I've never tried this turntable, but i wish to have one in collection. bsmg, The fact that most people do use belt-drive turntables is mostly a result of decades of market pressure, not a careful analysis of the virtues of each drive system. However, your point about wanting to be left alone is valid. Certainly, no harm will come to your ears, if you continue to listen to belt-drive turntables. I think Chakster (and I) were stimulated to respond by your statement that DD turntables are inherently subject to "noise and vibration". That assertion is incorrect and represents the propaganda exuded by commercial entities that wanted to promote belt-drive over all, starting back in the late 1980s. Because belt-drive turntables are far easier to conceive and build than are DD turntables. I think it represents a misconception around the basic mechanism of DD. If you want to be enlightened, that could happen. But otherwise, vaya con dios. Well, Lewm, I never asked to be "left alone" by stating that I have never had and will never have a dd table. The fact remains that (1) most tables are not dd. (2) they never had a majority share of the market. (3) a platter direct coupled to a motor spindle will have vibration and noise transmitted through it; you probably won't hear it, but it's there.....it's physics, not a product defect; same with belt drive but the vibration and noise is dissipated by the rubber belt. Just as you apparently will never again have a belt drive, I have no problem with that (and I don't consider you to be un enlightened for doing so as you apparently think I am for my choice....cute); no different than preferring GM over Ford or front wheel drive to rear wheel drive.....they both work. As for being enlightened, I am. I am cognizant of the pros and cons of both drive systems and will stick with belt drive. The only example of market hype I can think of is Bose speakers. I was involved in the audio business in the late 70's and early 80's when dd was relatively new. I don't know why it never took hold. Looks to me like democratic process in action, though. Cheers. @chakster Heartened to see you endorse Garrard idlers. I run two Audiograil 401s (with custom idlers and platter, in ply and slate plinths) and wish for nothing else. Anyone in the market for an excellent table should consider one. To me a DD table is a much more engaging and dynamic presentation of the music than any belt drive - and I've have made plenty of both. I have never had a customer that upgraded to a DD table tell me that they did not prefer it to a Belt Drive. Thank you, Peter. I wish you the same enjoyment. better tone arms than any DD I can afford . "Plus, when you flip the switch on your table and nothing happens, you are faced with a substantial repair cost;"
In my sample of one direct drive Technics, and not the high level one at that, it has been over 35 years of flipping the switch on and it starting every time. A few drops of oil once a year. I might have been lucky and they may not make them like that anymore, but I wonder how many posters here had their direct drive turntables die? Have I simply been lucky or direct drive is quite reliable? Can you guys with more experience chime in? I'm still using a Concept 2QD DD turntable from 1978 and it still works perfect and sounds great, but I also have an Origin live Calypso Mk4 that also sounds great, they both have their pluses and minuses, and I wouldn't get rid of either one. I have a Project Debut Carbon DC and was also considering getting a 2m Black for it, with the intent of a future turntable upgrade. How was the DC with the 2m black? Sir Cheech has evidently left the building. We could go on debating the matter ad nauseam without harm however. The Rega turntable that best fits your budget. @redchaser - Honestly the 2M black on the debut carbon DC sounds fantastic. to 90% of people, it would be all you would ever want or need. I think I am tweaking more for hobby sake and for making an incremental improvement on that system with a material change.